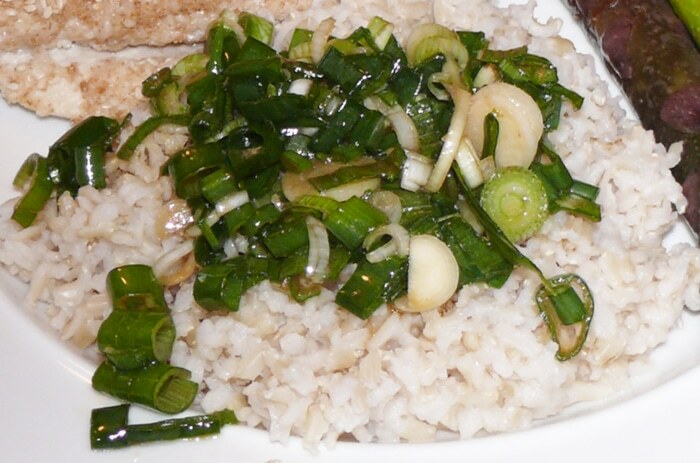 There is nothing like the sweet delicious flavor of spring onions fresh from the garden. Only your hands have touched them and you know you can feel free to even partake of the green stalk. This time of year it’s just as sweet as the white part; perhaps with a slightly different but complementary flavor. Simple ingredients make a delicious and elegant garnish. 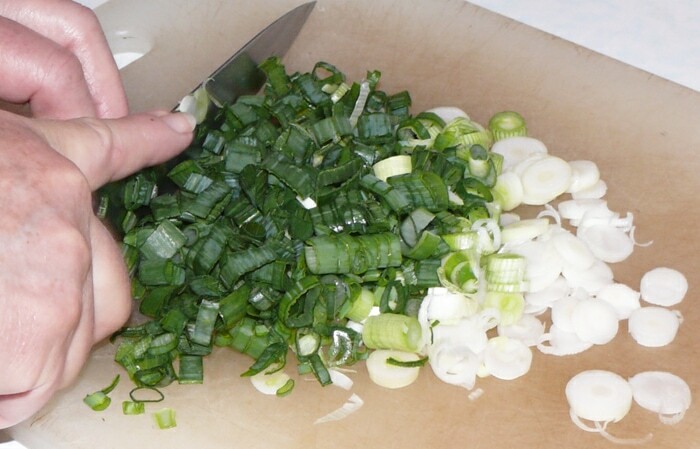 Spring onions have so many uses and one of our favorites is a simple garnish that I make and use on top of rice, pasta, and potatoes. Try it on a sandwich for great added taste. Selecting the 3 onions you’re going to pull is part of the fun. After that clean and chop —–including the green stalk. 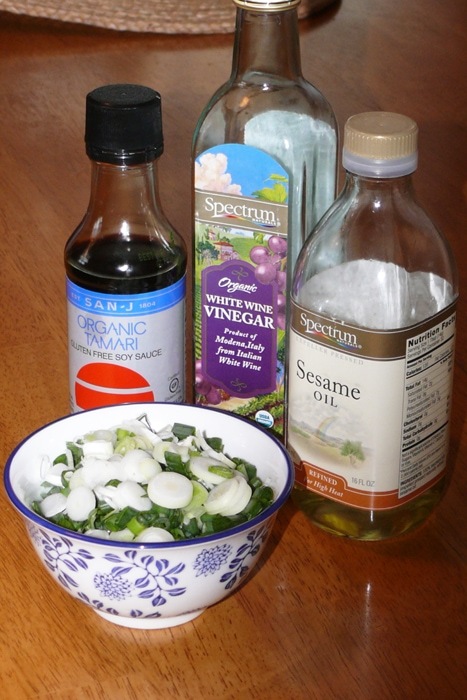 Add a tablespoon or so of sesame (or olive oil), a splash of white wine vinegar*, and a couple of splashes of organic tamari sauce. If you have some sesame seed add a 1/2 teaspoon of those. Toss. Place in a pretty bowl with a serving spoon and pass at dinner. If you’re not already fixing something similar for your family, why don’t you try it this week. The season for spring onions passes so quickly. Grab all the gusto while you can! Spring onions fresh from the garden for taste and flavor that is impeccable! Chopped right from the garden —even the “green stuff” is great! Use a a garnish for rice, pasta, or potatoes. Great on sandwiches. * If you can’t use vinegar, fresh lemon juice is wonderful as well.